David grew up in Allen, Texas. He graduated from Texas A&M University in 1992 with a bachelors degree in health. Serving as an Athletic Trainer for the Texas A&M football team, he gained invaluable experience in the field of Sports Medicine. 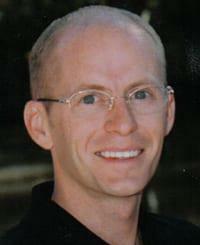 He attained certification as an orthopaedic physician assistant in 1999. David uses this knowledge and familiarity to coordinate a seamless line of communication between the Doctors of Texas Orthopaedic Associates and athletic programs at every level the DFW area and around the country. David actively participates in educational programs benefiting athletic trainers and physical therapists through the Presbyterian Sports Care Network. David lives in Dallas with his wife Sylvia and his two children; Jacob and Isabella. Along with spending time with his family, he also enjoys running and cycling.